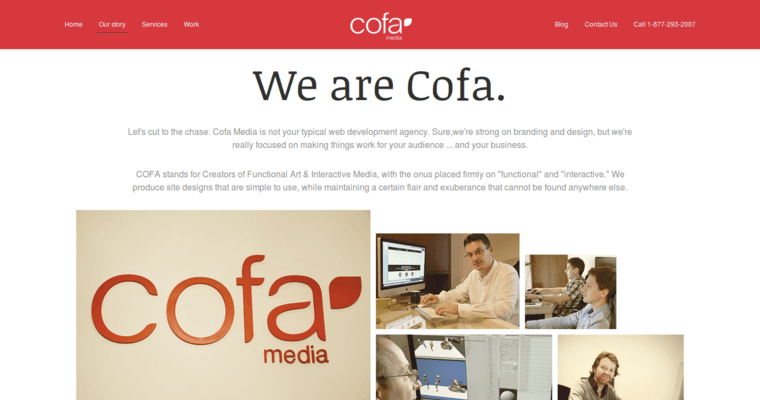 Cofa Media takes a leading initiative in building custom websites for clients in the United States of America. 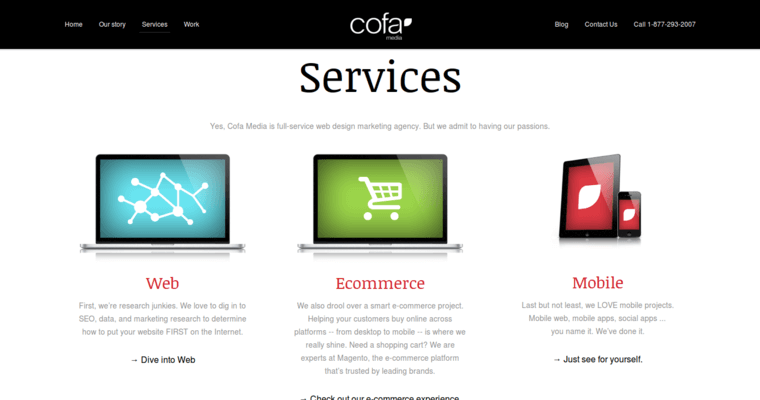 The use of open source technology is preferred by the developers at this agency. There are plenty of benefits in using content management systems to create corporate websites, online stores and other enterprise websites. WordPress is often chosen to compile web pages quickly without worrying too much about the technical aspects of coding. However, this platform can be easily edited in terms of HTML code. Cascading styling sheets may be introduced to WordPress to make massive changes without opening and closing every single page individually. 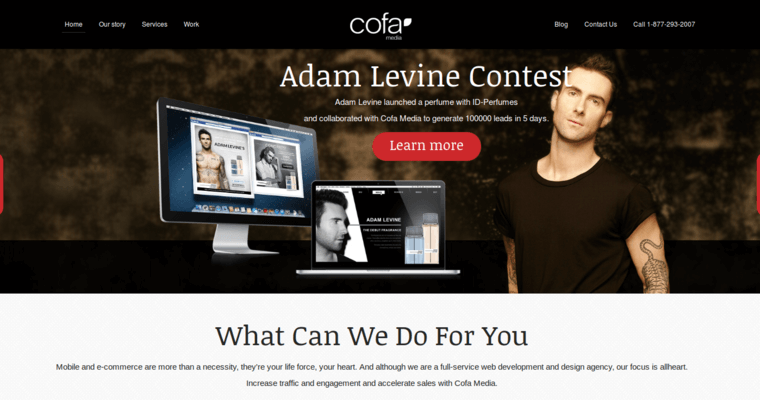 Cofa Media also brings some creativity to graphic design for web pages. Logos are crafted with the use or professional image editing software. Additionally, animations are also created and then placed into web pages that receive a lot of impressions from first time visitors or returning users.